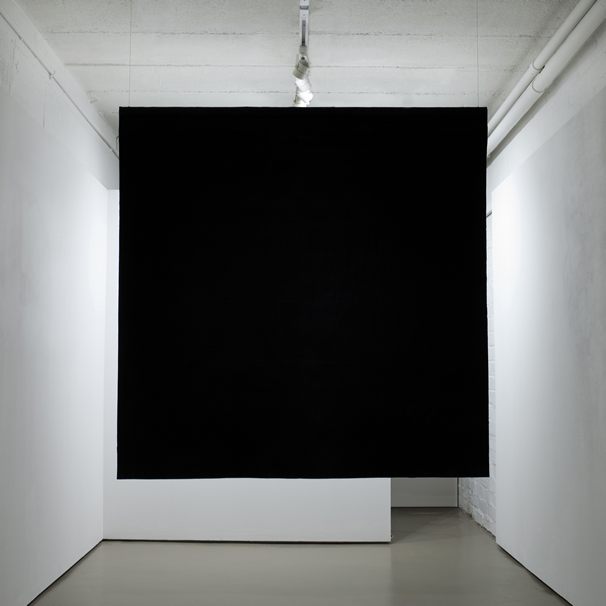 Here and Now introduces Present (2016), a pivotal new work by Deb Covell which announces the culmination of a process in which she arrives at the most complete physical structure – a black square. Covell's practice explores paint's sculptural potential; its material and conceptual properties are central to a work's creation. Here and Now comprises one work in which Covell's experiments with paint as a sculptural entity reach its climax: Present. 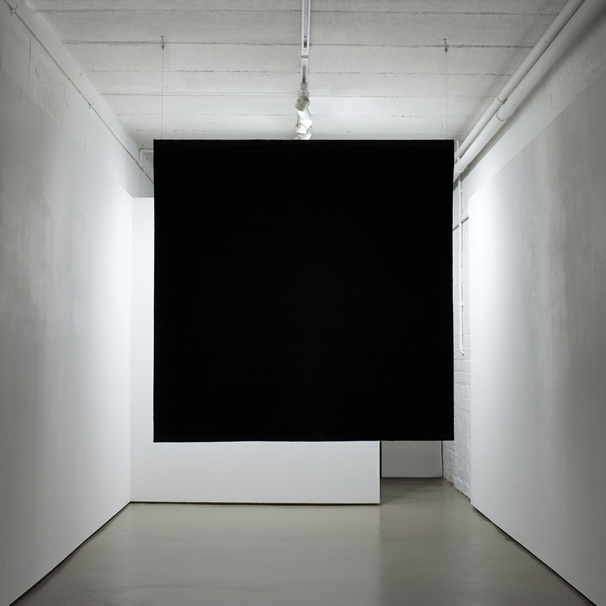 In Present, Covell alludes to prominent moments in 20th Century Modernism such as Malevich's Black Square (1915) as well as similar iterations in Laurence Sterne's novel Tristram Shandy (1759) and Robert Fludd's The Metaphysical, Physical, and Technical History (1617). 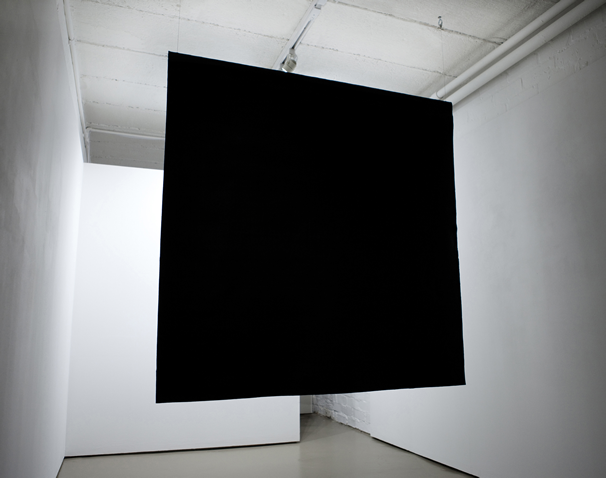 Malevich's Black Square constitutes a "zero state", in Tristram Shandy it represents death, and with Fludd it symbolises an empty space prior to the universe. Present is a work which comprises paint layers, an object whose work processes inhabit its structure. Its inception as a sole strip on polythene whose composition slowly evolves into layers eventually results in a structure wherein pictorial space inheres within each layer. Covell then peels away the polythene which releases the paint layers that recite the work's internal narrative. Covell's systematic process starts with oblique strips that vary in width which create perspective and illusionistic space; eventually she adds strips whose equal widths shrink the picture plane. As the work expands Covell introduces wider white vertical strips to collapse perspective as well as wider horizontal layers; over time the work starts to resemble a square. In this process Covell unites the antithetical concepts in Piet Mondrian's Neo-Plasticism movement, whose works employ only vertical and horizontal lines as they represent order, with Theo Van Doesburg's concept "Elementarism" which espouses only the use of oblique lines as they represent movement. In Present Covell creates a work in which paint layers accumulate to construct a monochrome; in contrast to the Modernist monochrome, Present is pure paint and its suspension without a support reiterates its sculptural volume. 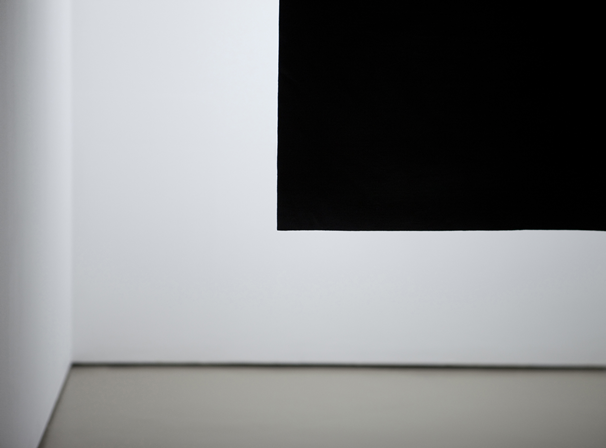 Without a wall support Present is a monochrome at its initial perception, a monolithic black; its suspension allows us to view the composition when at its other side, the paint strips that overlap to create its structure. As a work Present contains various oppositions such as chaos and order, stasis and movement, white and black. 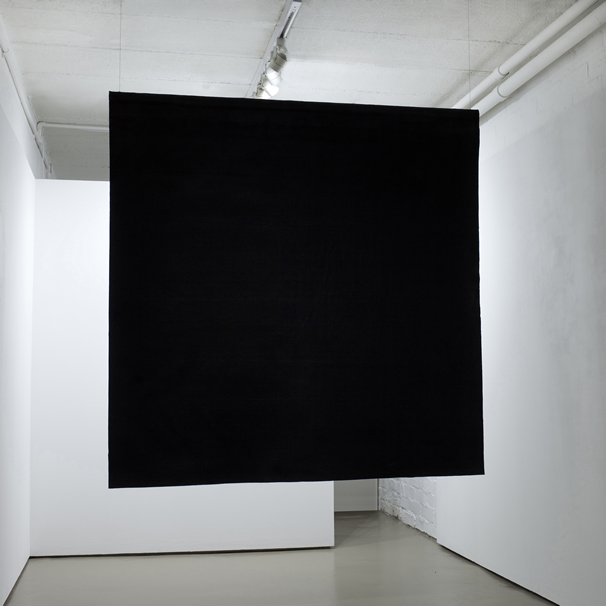 In this sense, Present echoes Robert Fludd's idea in which the square contains space but indicates endlessness; in his illustration he accepts the limits of representation as the square's periphery states: "And so on to infinity . . ."
Deb Covell's [MA Fine Art, University of East London (2002)] recent exhibitions include Real Lines (2016), Gray Contemporary, Houston; Real Painting (2015), Castlefield Gallery, Manchester; Secret (2015), Royal College of Art, London; From Nowt to Summat (2014), Middlesbrough Institute of Modern Art, Middlesbrough; Aesthetica Art Prize (2014), York St. Marys, York Arts Trust; and Zero (2013), Untitled Gallery, Manchester. Her works are in the MIMA collection, Paintings in Hospitals, and private collections.